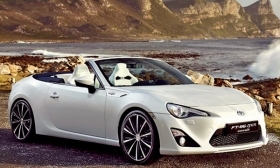 Toyota has shown a concept convertible version of the Scion FR-S with Toyota badging, but product planners say this ragtop is too expensive to fit into the Scion lineup. Within Toyota, there are two divergent views about the future of Scion, according to sources. One camp wants to maintain Scion as a youth-oriented brand, updating its ancient but iconic xB and xD hatchbacks with new editions. Another group would prefer the brand to move into the premium compact near-luxury segment below $30,000 -- an area deemed below Lexus' reach and not in Toyota's brand purview. If that happens, Scion already has taken the first step with the FR-S coupe, which has been selling at an average transaction price above $25,000. But that also means walking away from its lower-priced products. Several concepts are being studied, but nothing has been decided. iQ: The three-occupant minicar arrived in fall 2011.
xB: The xB box is 6 years old and should have been replaced by now. But there are no signs of it. Toyota promised big news about the xB for the 2013 New York auto show, and nothing happened. xD: The subcompact is in the same situation as the xB. Even if the xB survives into another generation, expect the xD to go away, as it competes too much with the Toyota Yaris. tC: The sport coupe was redesigned in summer 2010. Expect special trim-package editions but few other changes. FR-S: Launched in spring 2012. Do not expect a turbocharged or convertible version in the U.S. market, because the sticker price would be too high. Subcompact crossover: Toyota is studying a low-slung Scion crossover that would be smaller than a RAV4 and similar in styling, stance and proportion to the Nissan Juke. It would be based on a modified Yaris or Avensis platform.